When the new F90 M5 arrived late last year, BMW has already set the bar quite high in this fun, but competitive segment of ultra-sporty business sedans. The sixth generation M5 was not only the fastest ever made, but also one of the fastest and more dynamic BMWs we’ve driven in the last decade. 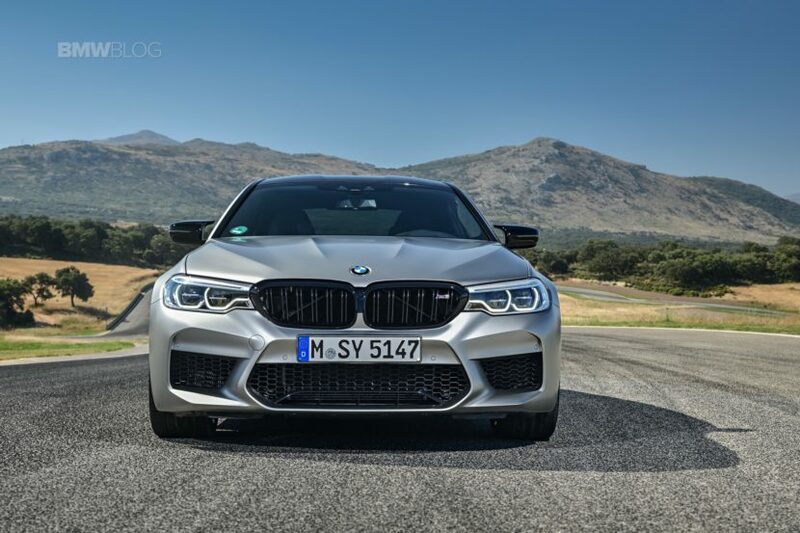 It also opened a new chapter for BMW M, being the first M car, other than the SUVs, to be offered with an all-wheel drive system tuned to be quite versatile, based on the customer’s needs and demands. 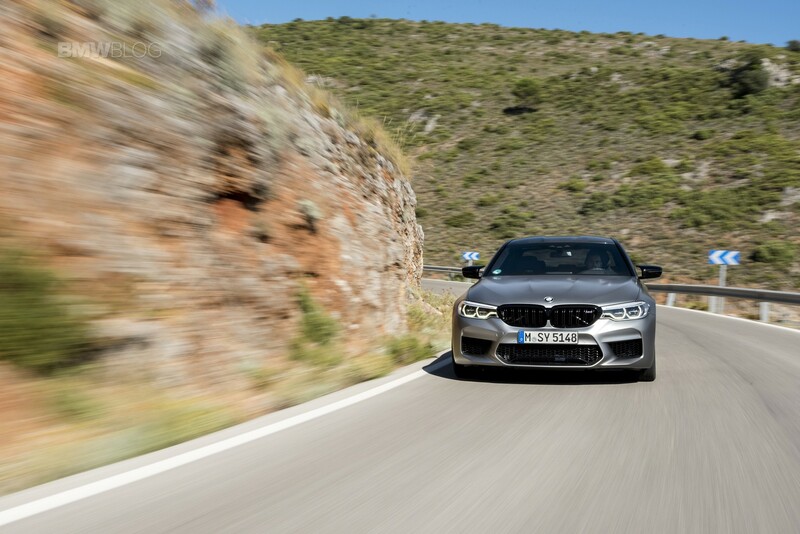 We’ve driven the car twice since, once in Portugal on the famous Estoril track and on BMW’s home turf in California, and each time, we came back impressed. 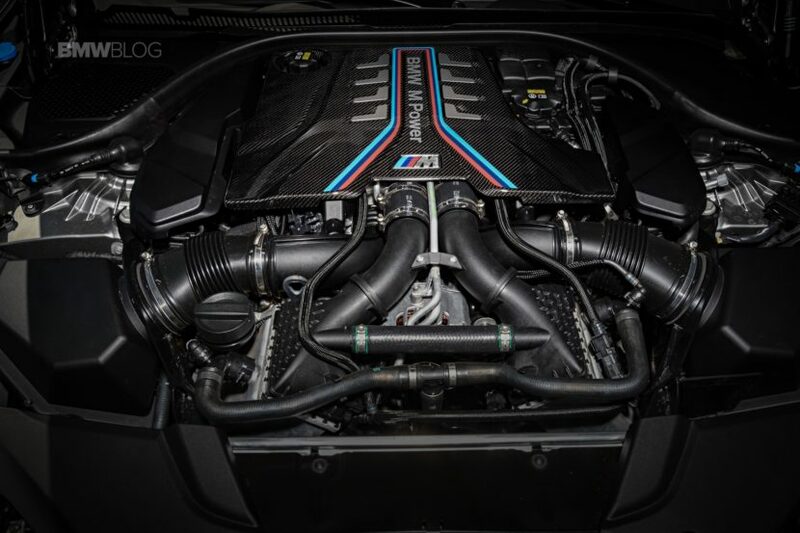 Clearly BMW has fine tuned their M5 formula and left you wonder what could come next. So BMW decided it was a great idea to bring me to Ascari, Spain, to sample the fastest M car today, along with the M2 Competition which we presented a week ago. The idea behind the M5 Competition is to cater to a small group within the M5 owners family who demand the best when it comes to their already expensive cars, a challenge that the M engineers in Garching often embrace and look forward to. 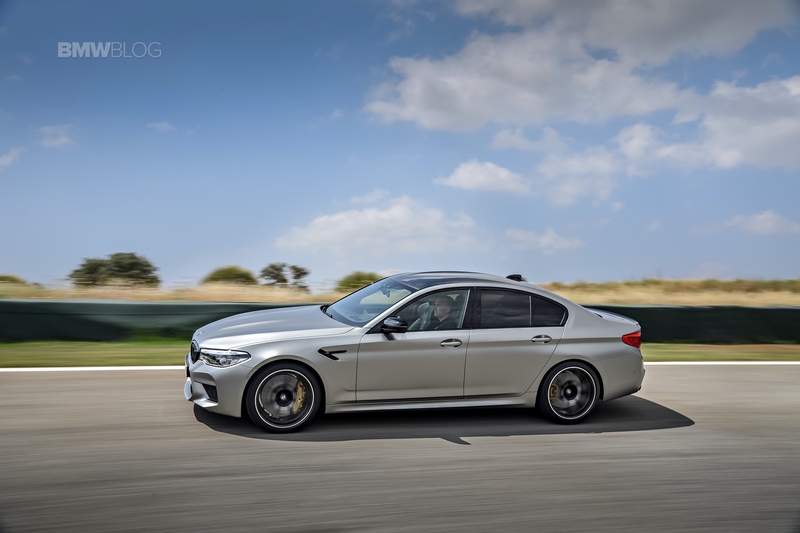 To many, the F90 M5 was already faster than their driving capabilities, but that shouldn’t stop the progression and evolution of cars, so the M folks got to work. It all starts up front, under the hood. 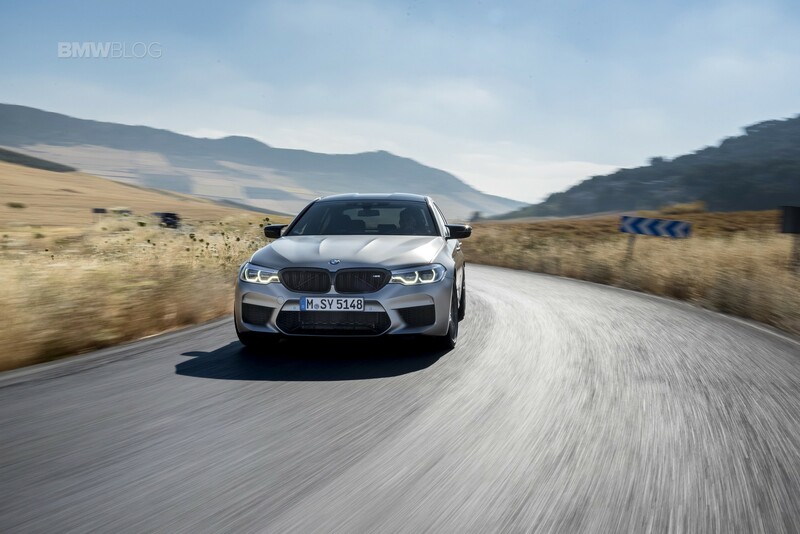 The 4.4 liter twin-turbocharged engine in the F90 BMW M5 now makes 617 hp and 553 lb-ft of torque. That’s an increase of 25 hp but its torque figure stays the same. 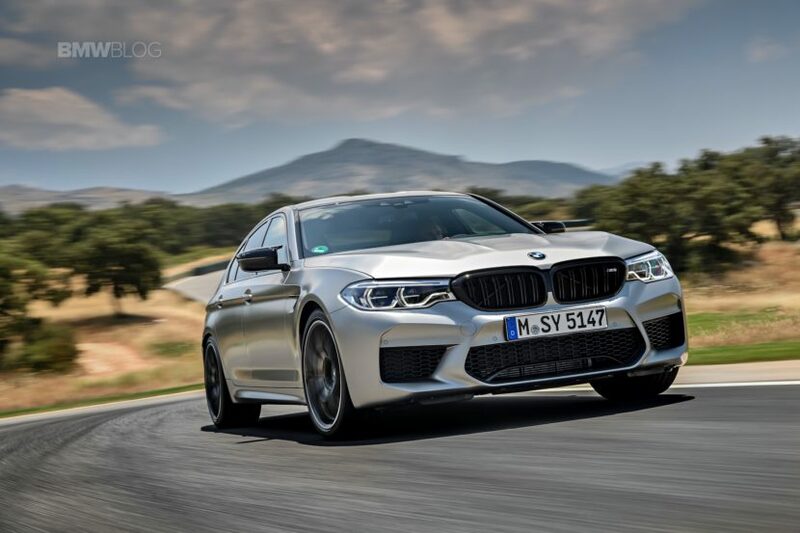 However, that makes the M5 Competition more powerful than the Mercedes-AMG E63 S, it’s most fearsome rival, though the AMG still has more torque. 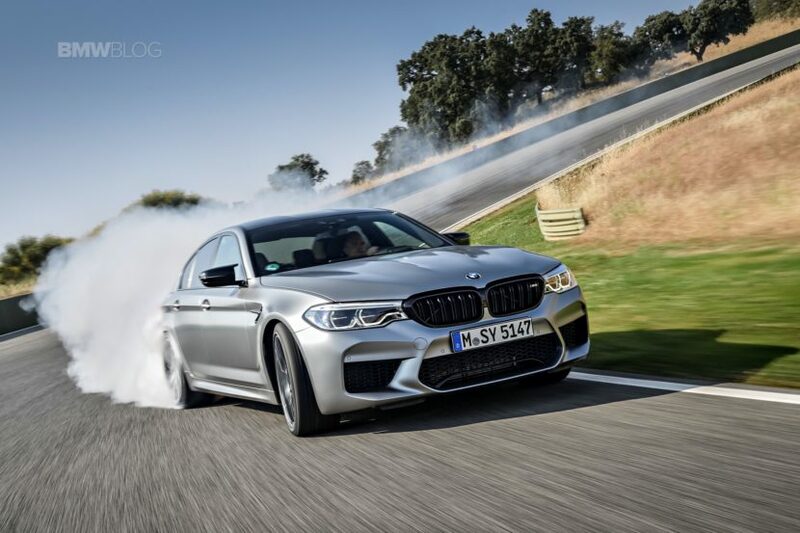 Although, the M5 Competition’s torque spread is now 200 rpm wider, so that makes the car feel a bit punchier on the track, as you’d see later on. BMW claims a 3.1-second 0-60 mph time, which is the same as the standard M5, but that it will get to 124 mph in 10.8 seconds, which is three-tenths faster than the regular car. That’s also quite remarkable for a sedan to break eleven seconds to 124 mph. Next, the body roll and suspension settings were on the to-do list. 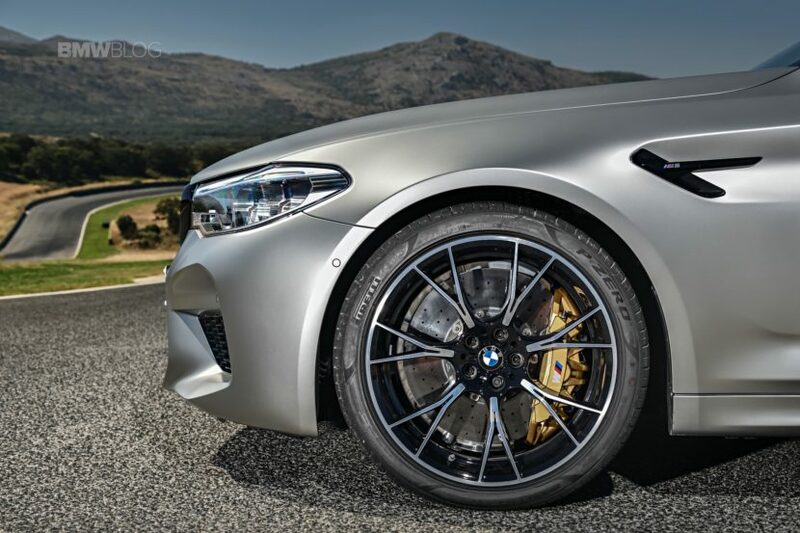 The refined suspension is seven millimeters lower than the standard setup and has had its shocks, springs and geometry specifically-tuned for the M5 Competition. So an increase in negative camber at the front, thicker anti-roll bars and ball joints, rather than rubber bushings, at the rear axle make the BMW M5 Competition noticeably sharper and more communicative than the standard setup. 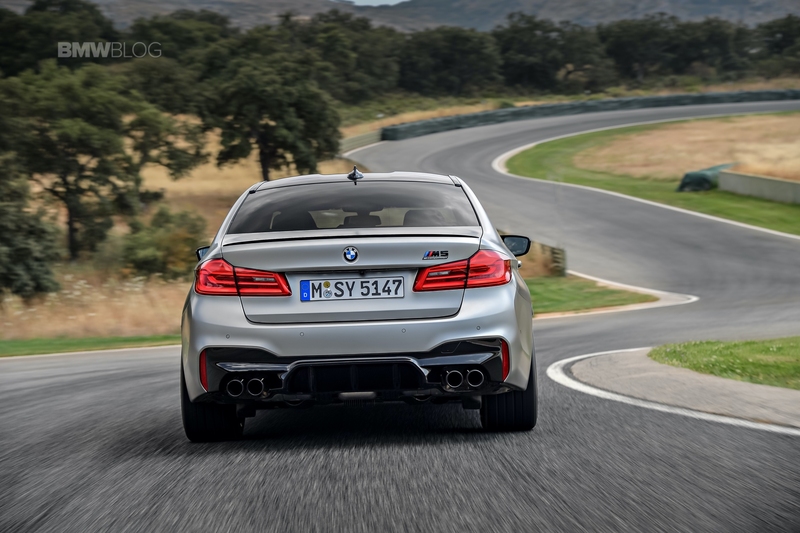 Springs, both front and rear, are also ten percent stiffer, which allows the M5 Comp to handle a bit better than the normal car. And everything combined, including the new front suspension tweaks, and lack of rubber compared to the old car, also improves the steering feel. Last but not least important on the upgrade list was a new exhaust system. 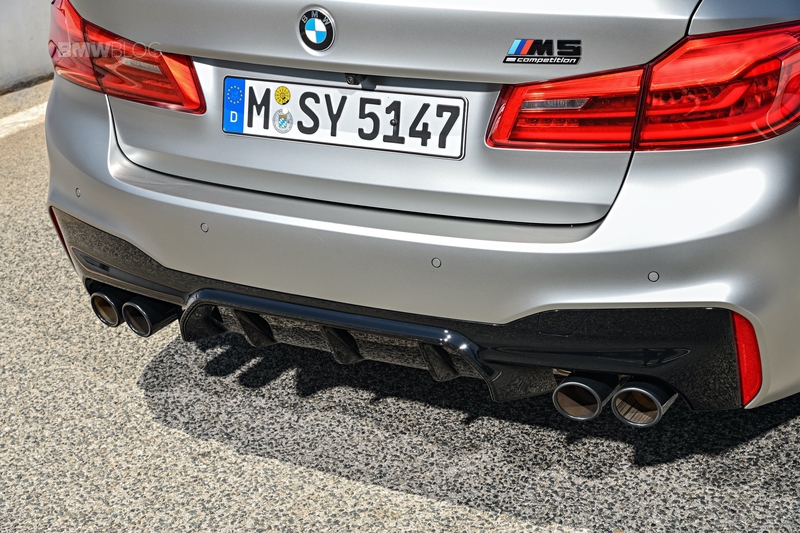 The “standard M5” is already a great sounding machine, thanks to its V8 engine, but the new M Sport exhaust is not only raspier, but misfires in a way that reminds you of a true race car. In contrast to the M2 Competition, my day kicked off with another pre-defined route on the backroads around Ronda, the very same roads where we put to test its smaller brother. So basically got the same combination of curvy, uneven, narrow and slippery roads that require your full focus and attention, especially when managing a car of this size with that much power. 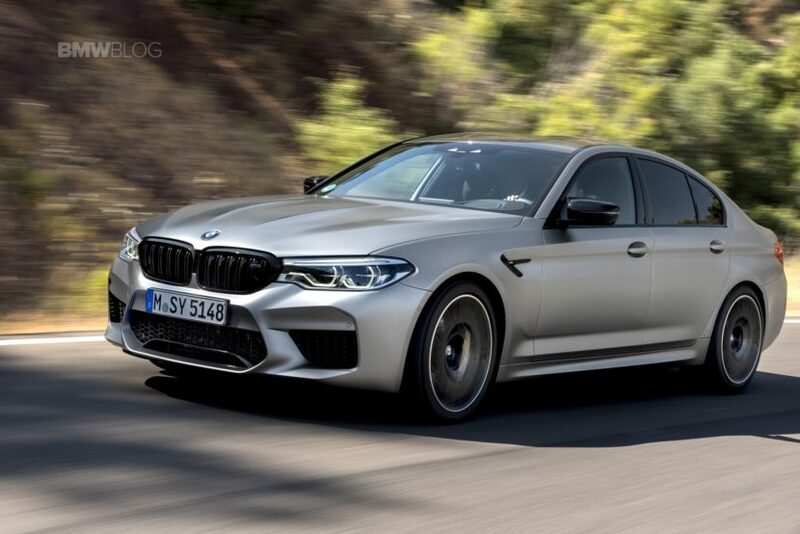 Just like the standard M5, the M5 Competition is somewhat bipolar, and that’s okay because it’s exactly what ///M wanted. In Comfort mode, it’s domesticated, calm and a great companion, especially when you’re looking to take in all the scenery around you, without sacrificing the luxury of a business sedan. 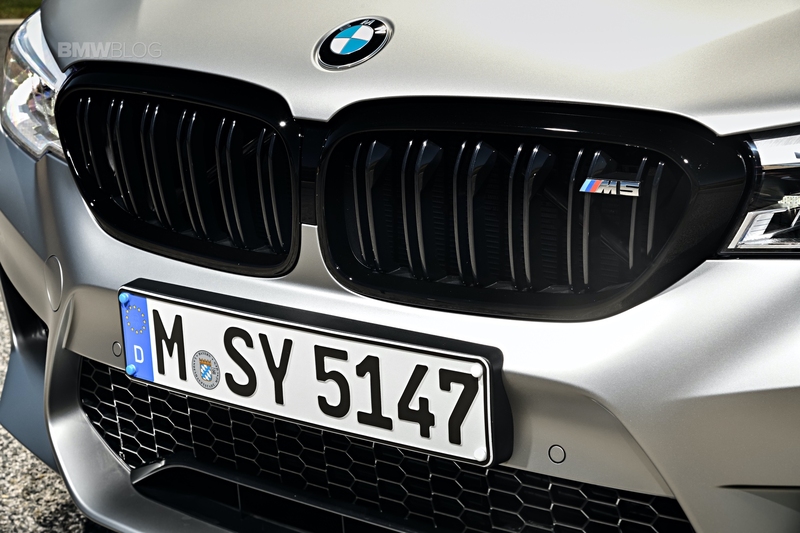 Every single character of the M5 Competition can be refined to your needs, starting with the steering and suspension, and moving onto the throttle response and transmission. 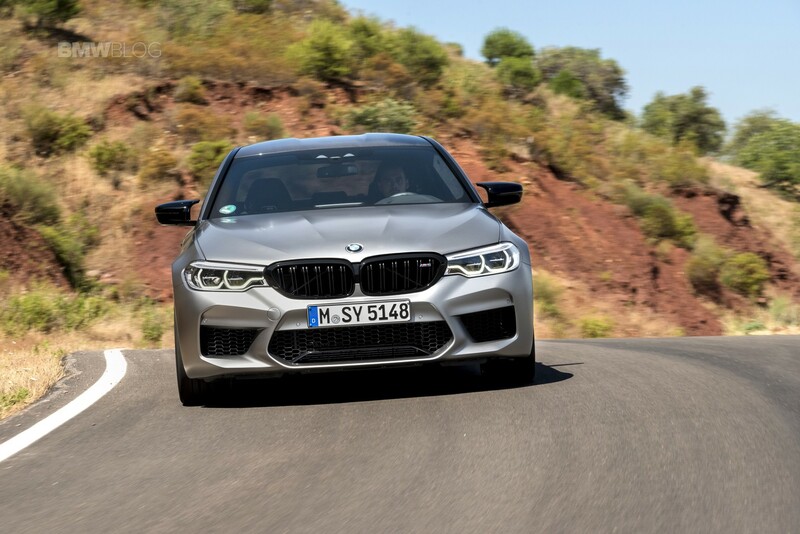 In its most comfortable setup, the M5 Competition dances through the curvy roads without requiring a lot of engagement from the driver, so if you have any companions, this would make them happy. But even in this “softish” mode, you can immediately feel the wizardry that went into the Competition model, the steering is a bit heavier, there is more road feedback, which is what we often want from our BMWs. Yet, now it’s time to see its more wild side. 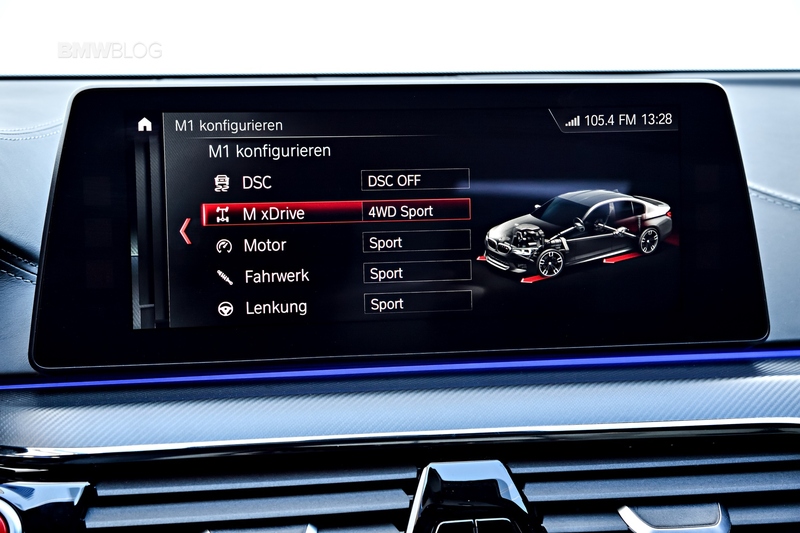 “Sport Plus”, a few other quick adjustments, and the M5 Competition takes you by surprise. The car now certainly feels stiffer and well put together, it’s more aggressive from the start, and immediately noticeable from the revved up engine and louder exhaust. 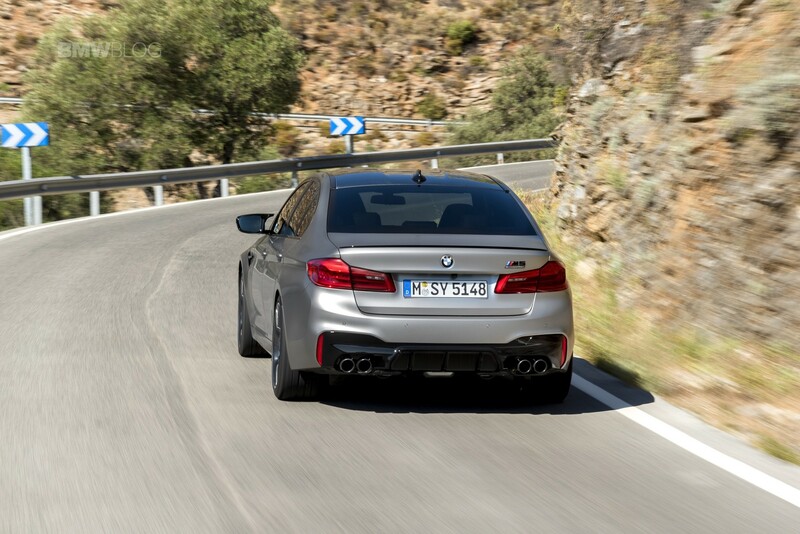 Pushing hard through those backroads, harder than I should have honestly, the M5 Competition has immediately impressed me – extremely low body roll, grippy, glued to the road and quick off the corner. In either the rear-wheel drive configuration or xDrive, the new M5 Competition is a more competent business sedan which can turn it all the way up to the status of a race car. The car is extremely sharp in every single corner, the extremely uneven and bumpy roads are no match to the great dampers setup, and of course, the lighter 20 inch alloy forged wheels play a role here as well. My co-driver is extremely fast and pushed the car close to its limits, without any hiccups. 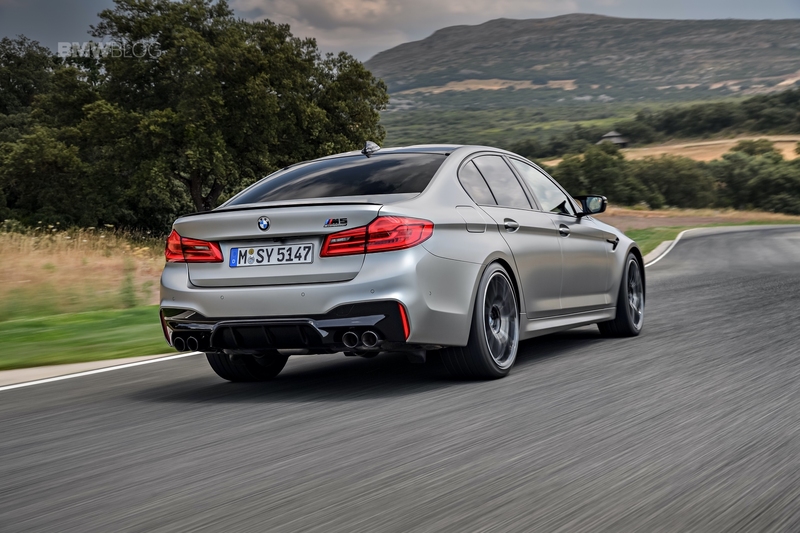 Not only that I felt confident in its driving abilities, but you could easily see how the M5 Competition complements a good driver, offering that confidence you wouldn’t expect from a heavy car, cause at 1.9 tons, the M5 Competition is not featherweight. My first experience on Ascari it was interesting. It was by far the most challenging track I’ve been on and with a car that’s playful and more difficult to control – the M2 Competition. So fortunately, I was in the second group of journalists that took the M5 Competition on Ascari on our second day in the beautiful Spain. By now, I was fairly familiar with the track and knew what to expect, which clearly has made me a better driver aboard the M5 Competition. Still, the same 26 sophisticated corners, a mix of slow and fast, with very little room for error and almost no run-off space, so extra attention was required. Six laps, four fast ones led by a professional BMW Factory driver, who gave us the chance to really push the car. We started with the all-wheel drive on which, of course, gives you lots of grip on those tight corners, allowing for some late braking and being a bit more aggressive taking on the apex. It’s also important to mention that we had the optional carbon ceramic brakes on the car which are nothing short of phenomenal on the track. The additional 25 horsepower might not seem like much, but enough for when you truly need them, and on this track, there are very few opportunities where near top speed can be achieved. I was only able to bring the car to around 190 km/h on the straight-line, but the pro drivers delivered a 200 km/h run for us. 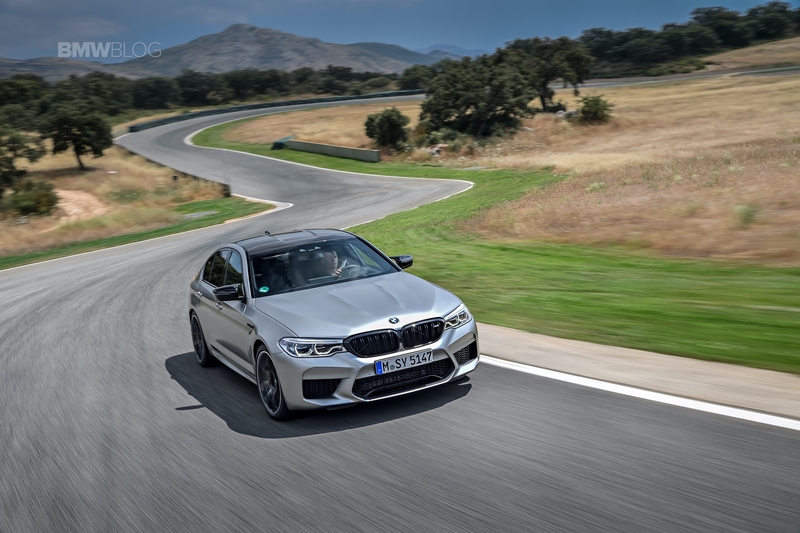 Speaking to the BMW drivers, they also mentioned that the M5 Competition is two seconds faster than the M2 Competition on Ascari, which is quite impressive, by their accounts. 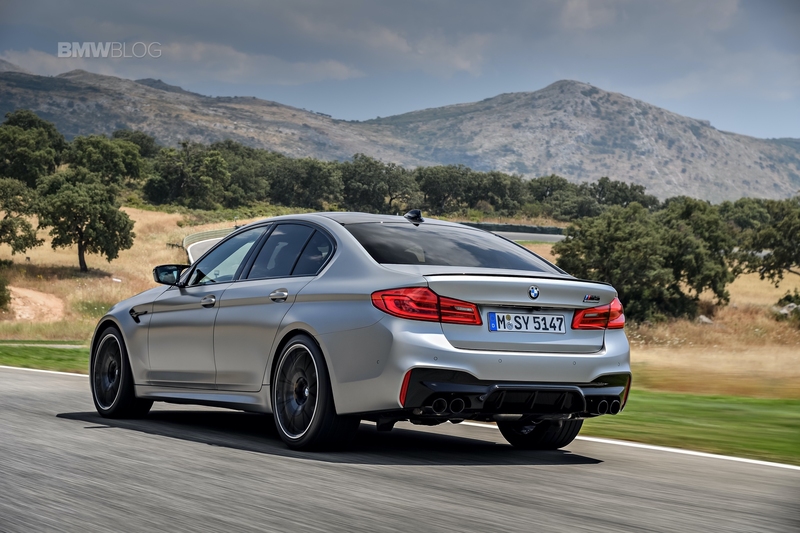 The torque is even more superb than before, the M5 Competition immediately pulls as you floor the gas pedal, thanks to its 553 lb-ft of torque (750 Nm) which can now be retrieved in a wider by 200 rev/min window and is permanently available between 1,800 and 5,800 rpm. The engine is punchy, the sound is sublime and the exhaust is heavenly. It’s extremely rare that I use that many epithets in a review, but I was not able to find any faults this time around. BMW’s work on the suspension is even more obvious on the track. 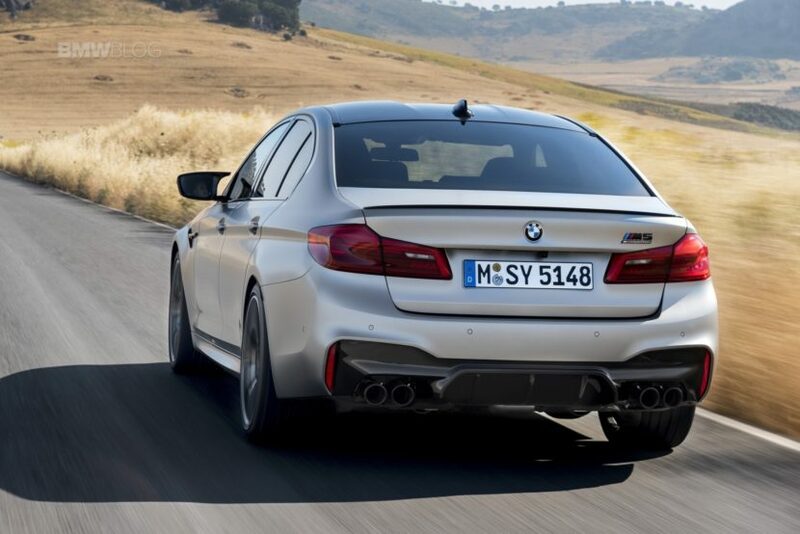 The M5 Competition is even more composed, stiff and planted, the steering input has clearly been improved, which often makes you forget the sedan’s weight. Even with then completely deactivated DSC, the tuned up M5 is certainly manageable, but it’s infinitely more fun, and in some ways, defying the laws of physics. You should certainly applaud BMW M and its engineers for always looking to push the envelope, maybe at times not as fast as we’d like, but it shows that they have a plan and a formula they stick to, and it simply works. 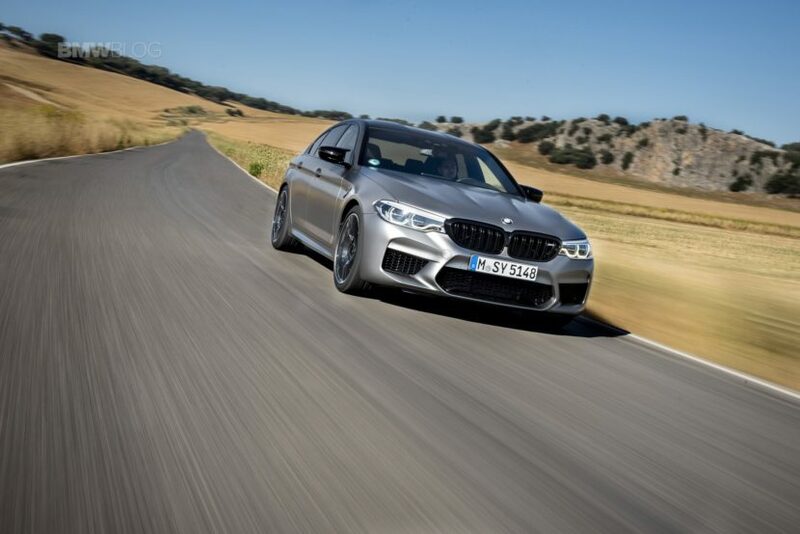 The new BMW M5 Competition can be easily described as more sports car than business limousine, but in the end, it won’t find much track time in its life, yet, the M5 Competition drivers will appreciate its potential. If “Born on the Nurburgring” label was sometimes kinda cheesy, this time around, it’s the perfect label to be used on a sedan that can keep up with the likes of Ferrari 458 Italia on arguably the best track in the world. 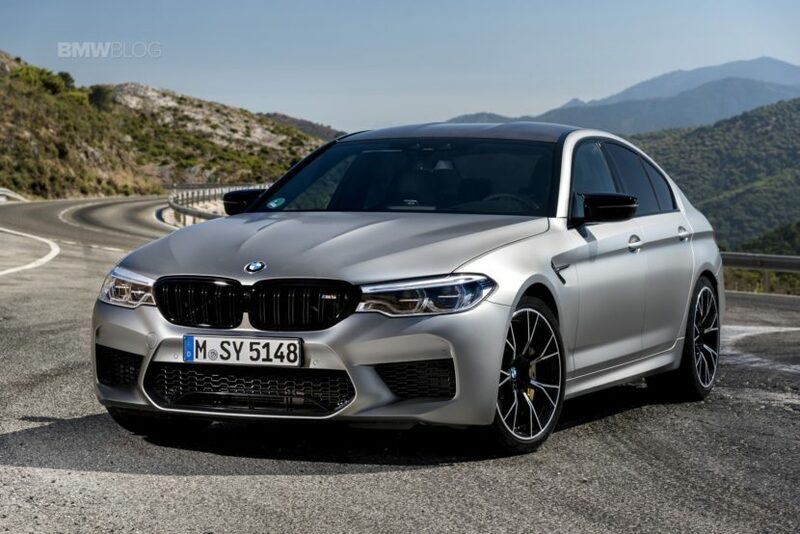 In the United States, the 2019 M5 Competition is priced at $110,995, including destination($995). In comparison, the “regular M5” pricing is set at $103,595 including destination($995). Yes, it’s a bit more expensive, but if you have that much money, I believe the $7,000 extra will be well spent on this latest magic to arrive from Munich.